Riau Kratom is a newly commercialized strain of Mitragyna Speciosa leaf carried by a small number of online vendors. This strain comes from the Riau province of Indonesia, on the Southeastern coast of the island of Sumatra. While previously obscure or sold under the generic name of “Sumatra Kratom”, we are now starting to hear more about this strain as users show increasing interest in trying rare products from off the beaten path. Both Red and Green Riau Kratom leaves have some interesting properties that make them a worthwhile experience for any of the adventuresome readers of this site. According to BikHuk – one of the largest wholesale suppliers of Riau Kratom powders – this strain, is harvested from wild grown trees in the primary and secondary rain forest of the Riau area. The powder of the dried leaves is the result of our advanced harvest, drying and processing techniques.” The ideal climate of Riau produces a Mitragyna Speciosa tree that has broad commonalities with both the Sumatra and the Borneo regions of Indonesia. Many of the effects of this strain are closely related to other Indonesian strains, but with a unique flair that is discernable to experienced users. 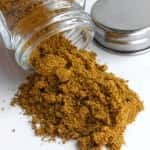 This strain is also much sweeter in smell which is why it is often sought out by individuals who find Kratom to be overwhelmingly unpleasant to taste. 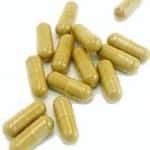 Like other Red Veined Kratom Strains, Red Riau is relaxing in nature and effective as an anxiolytic and analgesic. This Indonesian leaf is said to be less intense than some of its closest rivals such as Red Bali or Red Thai, but it still offers a host of benefits as a muscle relaxant, a mood enhancer and natural anti-anxiety treatment. It shares much in common with the widely available Red Veined Sumatra powder and is equally euphoric, though reviews suggest it is more calming. User reviews characterize it as a mellow strain with pleasant effects on both the mind and body. 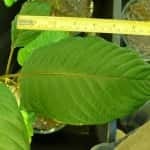 Riau Kratom has also earned the distinction of being more pleasant and less bitter to the taste buds which makes it better for consuming it raw or preparing herbal teas. At the other end of the spectrum is Green Vein Riau Kratom which is marked by having a greenish colored central vein as opposed to a reddish one. This coloration means that there are different alkaloid concentrations within the leaves which can produce moderately different effects. In general, Kratom leaves with a green central vein are more energizing and stimulating especially when used at smaller doses. They may have a “headier” experience which is more mental as opposed to physical and can be accompanied by deep focus and motivation. Compared to other green strains, Riau powder is said to have a shorter lasting set effects and to be more relaxing and euphoric in character. Some users will shy away from Green Veined Kratom strains such as Super Green Malay if they suffer from General Anxiety Disorder or insomnia due to the potential for over-stimulation. For those individuals, Green Riau is a welcome option as it is less edgy and more sedating than your typical green veined leaf. According to reviews, it manages to keep a balance between making you more alert while also promoting a sense of centered self and concentration. One reviewer commented that it was “like a warm blanket of mellow euphoria and sedation.” Another cited that it produced an “energizing and clarifying” effect on the mind. 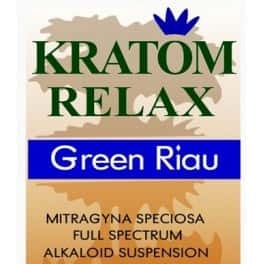 Update: You can now get Riau Kratom from Kratom-K.com for $15.95 for 28 grams. 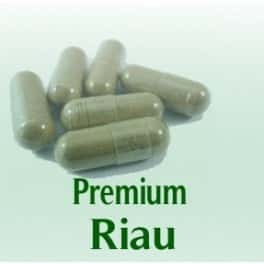 They sell red, green and white Riau powder as well as capsules online. This is a trusted vendor with a good reputation and they also offer free shipping on all orders over $75. At present, a relatively small number of established vendors carry the Red and Green Vein Riau Kratom leaves due to the fact that it remains less popular than related Sumatran or Borneo strains. However, as more consumers share their positive experiences with these leaves, we expect that more companies will begin stocking them. 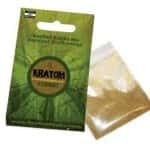 For now, smaller websites such as Green Leaf Kratom, Kratom Collection, and Deep Jungle Kratom are three of the sources you can purchase it from. We have concerns about some of these vendors which is why we choose to not link to them here, but if a more reliable source for Riau becomes available we will update this post to reflect that information in the future.